Most online shops give you the option of entering one so that new or regular customers can save money or get an offer like free delivery. Zeek is a gift voucher marketplace where you can buy vouchers for most shops, brands and retailers at big discounts, some up to 25% off. They also buy your unwanted gift vouchers. They have hundreds of stores including Argos, iTunes, Cineworld, Debenhams, Café Nerro, John Lewis and more. Buy or sell now. Each of the current online discount codes can be viewed there with offers which are updated daily and also include limited offers. Some allow you to add them to a special box in their website basket whilst others take you straight to the offers with it already taken off. Join the vouchercodes e-mail subscription service for the latest printable vouchers for hundreds of shops, 2-for-1 restaurant vouchers and up to date deals and sales. If you don't mind getting their regular newsletter, which may be weekly or monthly, then I would recommend signing up to your favourite shop's newsletter service. You may have to read these for a while before a promotional code or savings coupon is sent to you. However along the way you'll find out more offers and new products and services. The newsletters are usually sent at key shopping dates like Christmas or St Valentine's in an attempt to get your custom. They may also be sent at times of the year when the shop is having a period of low sales. For example the summer time when most people are enjoying the sunshine or off on holiday is traditionally a low period of internet use and shopping. So some shops may send them to their database to help increase sales. An example is for the internet and high street store Currys where you can key in a specific one at their website to save a percentage off certain products or a set amount of pounds of a specific product. It doesn't affect the speed of your delivery or your shopping experience in any way it is their way to increase sales above their competitors and pass savings onto you. Some may call these coupons or secret offers. Generally look for a box where you enter the code or password to get the saving or offer at the checkout. It is usually alongside the basket page or just before the confirm your order page. Some also give you money off your next order if you spend a certain amount which is often £5 off your next shop if you spend over £20. Prezzy Box do this at the time of writing this article. UK shops that have them include Argos, Boots, ASOS, PC World, La Redoute, Mothercare, Asda, Tesco, Littlewoods, HMV, John Lewis - well you get the idea - name a high street store which has a website and they will usually have one. There are some websites that list new and existing ones and are worth a visit before shopping. They usually have handy links to go directly to the store. 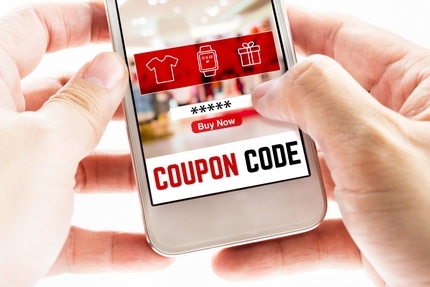 Some discount code websites have links that you simply click on and when you go to the shop your reduction is automatically added or rather taken off your shopping basket. Others may need you to write it down, though if you are shopping straight away you could simply copy and paste using your mouse and enter it direct into the box at the shopping website. If you cannot find a specific one then try typing the name of the shop along with promotional discount codes into a search engine. This should take you to a website which may list the one you need. This section will list the money off codes that we are aware of to help you save money or get free delivery. There are more coupons on the Money Off Coupons page.